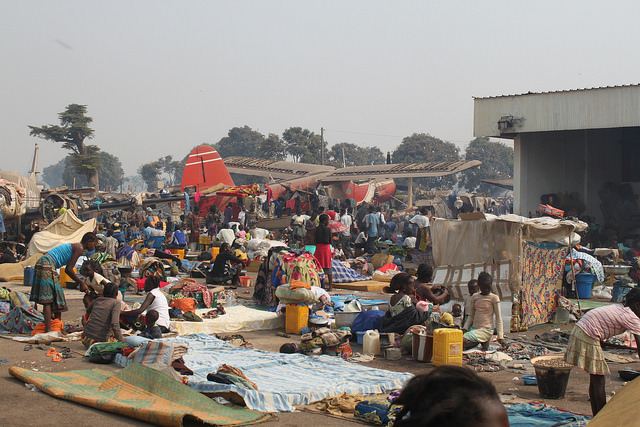 The Central African Republic: What Happens Now? On Thursday, October 31st, 2016, France ended its operations and pulled its 2000 troops from the Central African Republic. Operation Sangaris, as it was known, was an operation by the French military that began in December of 2013. 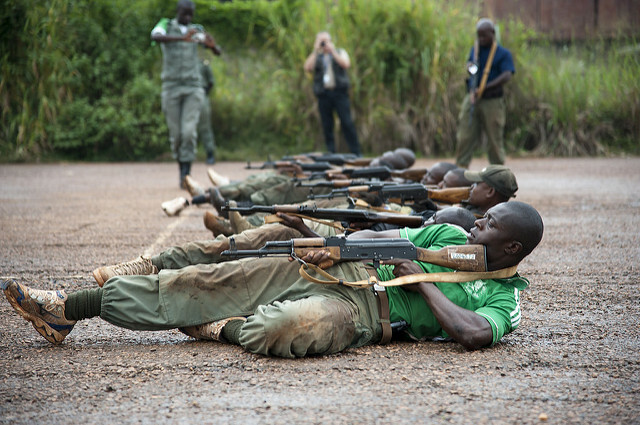 The Central African Republic (CAR) is known for being fraught with large amounts of insurgent fighting and violence. This violence is being instigated by rebel groups, and mostly prompted by religious-based tensions between Christian and Muslim insurgent groups. This violence followed one of the many coup d’etats in CAR’s history where Seleka rebels of Muslim faith overthrew the government, including Christian President Francois Bozize, and installed their own Muslim leader, Michel Djotodia, in his place. While CAR is no stranger to coups – having had multiple ones in the past – this one in particular resulted in mass violence that reached unprecedented levels. The international community recognized the dangers that this volatile situation posed, and the UN, African Union, and France all deployed troops to the area to try and control the violence. 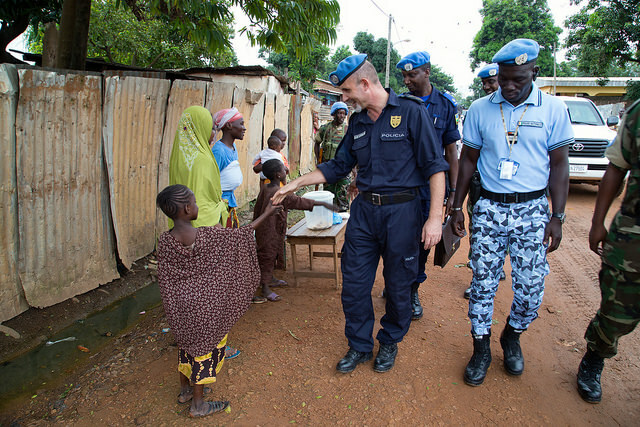 While in CAR, the peacekeeping forces sought to keep the violence under control and ensure a smooth governmental transition. Mahamat Kamoun, a Muslim leader, became the president in 2014 and was tasked with facilitating a transitional government. Two years later, in February of 2016, Faustin-Archange Touadera won the presidential election. Jean Yves Le Drian, the French Defence Minister, has claimed that the withdrawal of French troops is due to their success in ending the fighting, transitioning ground operations to the UN Peacekeeping force MINUSCA, and ensuring that peaceful elections were able to occur. While everything seems to be rosy at last in CAR, there are still some things underneath the surface that could prove problematic. While Le Drian claims that the troops have successfully stopped the fighting, this is not exactly true. In fact, the week before the troops withdrew, around 25 people were killed, mostly civilians, in clashes between Christian and Muslim rebels. While French troops have pulled out, MINUSCA, the UN peacekeeping forced tasked to work in the CAR, is still on the ground and operating. Their presence, however, is not universally considered to be in the best interests of the nation. Even with over 10,000 troops on the ground, armed rebel groups across the country have yet to be stopped, and MINUSCA’s presence isn’t necessarily supported by the local population. In fact, the week before French troops withdrew from CAR, anti-UN protest erupted in in Bangui, resulting in the deaths of four people and a further 14 others being injured, followed by looting and further turmoil in several other districts. The backlash against MINUSCA’s presence is due to the fact that many citizens feel as though their mission to stabilize the country and protect citizens has been a failure. There have also been several allegations of sexual abuse by UN peacekeepers, especially with minors. While the bodies at the head of this mission continuously reiterate the message of honouring and serving their country and the UN, these allegations have continued to pour in consistently since MINUSCA has had a presence in the country. MINUSCA’s lone presence in CAR is a double-edged sword. While failing to effectively curb violence, their presence also causes more violence to proliferate as protests calling for their dismissal continue. Despite this, they do not necessarily plan on leaving CAR anytime soon. In July 2016, the Security Council agreed to extend the MINUSCA mandate until November 15th, 2017, which means that their controversial presence in the country will be upheld for at least another year. This then raises the question as to how much more violence (if any) will their presence both initiate as well as fail to stop, given their track record. With all of these overlapping challenges currently happening in CAR at the moment, it is paramount that Touadera and his administration focus on engaging with MINUSCA, as well as the rebel groups still active in the country, to try and mitigate future violence from occurring so frequently. It is also important that MINUSCA’s impact on the citizens of CAR be monitored frequently and checked when necessary. The last thing the CAR needs at this point is for the forces that are their to stabilize their country to be the same forces that incite violence and hatred, as well as disrespect citizens. While the departure of French troops may signal that CAR is on the path to stability and success, it is clear that a lot more things must be enforced in order for this to actually happen.